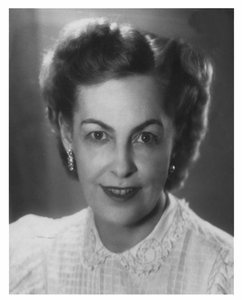 Janet Lambert, beloved author of girls fiction, was born and lived many years of her younger life in Crawfordsville, Indiana. Prior to writing novels Ms. Lambert performed as an actress and play writer touring with a repertory company around the United States and on Broadway. Ms. Lambert's hometown has been the home to many well known writers such as General Lew Wallace, author of Ben Hur. Ms. Lambert's acting career was shortened during WWI by her marriage to then Captain Kent Lambert and later by the birth of her daughter, Jeanne Ann. As a perceptive and intellectually curious Army wife, Ms. Lambert gained insight into people, situations and life in many settings. These experiences were integrated into her writing for many years to come. Janet Lambert's work has had and will continue to have a positive influence on the lives of her girls whom she loved so much. TRIVIA: Little known fact - Fellow midwesterner, actor William Powell, performed with Lambert in repertory theatre. Powell gifted Lambert with a small gift: A puppy!